There are so many great reasons to write in a journal (writing practice, habit of gratitude, tracking goal progress, and reflection to name a few). But it’s often hard to make it a consistent habit. My secret to consistent journaling is to use a template. I started using a template in 2013 and it made an amazing difference for me. I still fall out of the journaling habit from time to time, but it’s much easier to get started again. 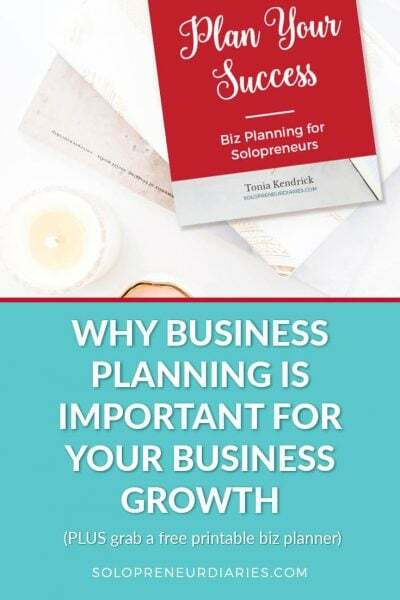 Using a template means that you never start with a blank page, which can be intimidating first thing in the morning (that’s when I like to journal). It also means there is some consistency in what I write about it (at a high level). Today, I’m going to share my current journal template and walk through each item. I say my “current” template, because it has evolved significantly since I first started using a journal template. What am I thankful for? What was the best part of the day? What one thing must I accomplish for WORK and one for LIFE? I include the header format in my template to ensure that I start out the same way every day. I like the consistency when I look back through my journal. I divide each entry up into two main sections – yesterday and today. Yesterday is broken down into several sub-sections where I write about various aspects of the prior day. I should also note that I don’t write in every sub-section every day. Each sub-section is basically a writing prompt. Some days I write a lot in certain sections. Other days, I may not write in those sections at all. Every day is different. I use this sub-section when there was some over-arching theme or activity in my day. For example, if I went on a trip, attended a class, or worked on large project, I might write about that in this section. Yesterday, I spent a good portion of the day setting up an awesome Twitter scheduling hack (blog post to come! ), so I wrote about that this morning. This is just what it sounds like. Did something interesting happen that doesn’t really fit anywhere else? This prompts to think really think about what happened the day before and look for the interesting bits, rather than assuming it was same old, same old. This is my productivity section. I use bullet points and include the tasks that I completed the day before. Often, these items come straight off my to-do list, but I also include things I accomplished that weren’t on the list. This is great for those days when you feel like you didn’t get anything done. That’s the kind of day I had yesterday, but when I wrote out this section, I realized that I did accomplish a lot, including several items from my weekly plan. The day didn’t feel productive, but it was. I might list the book(s) I’m reading or write about any interesting articles or blog posts that I read the day before. This sub-section includes TV shows or movies and also includes webinars and Periscopes that I watched. Here I might write about things I want to remember to do at some future point in time. Or it might be something I learned that I want to make note of. This is the other major section of my journal template. I switch gears from what happened yesterday to what I want to happen today. Here is where I start brainstorming my to-do list for the day. I include appointments and tasks. I look at yesterday’s to-do list, as well as my weekly plan to start mapping out my day. This is a recent addition to my journal template. I’m very committed to creating work/life balance and this sub-section has made a huge difference for me. These two items are going to happen no matter what. They are my top priorities for the day. By having one top priority for work and one for life, I make sure that I stay balanced. This is another recent addition to my template. A couple of months ago, I decided that I wanted to write 500 words every morning. Some days, 500 words fly by and turn into 1,000 or 1,500. Some days I have to dig deep to get to 500. 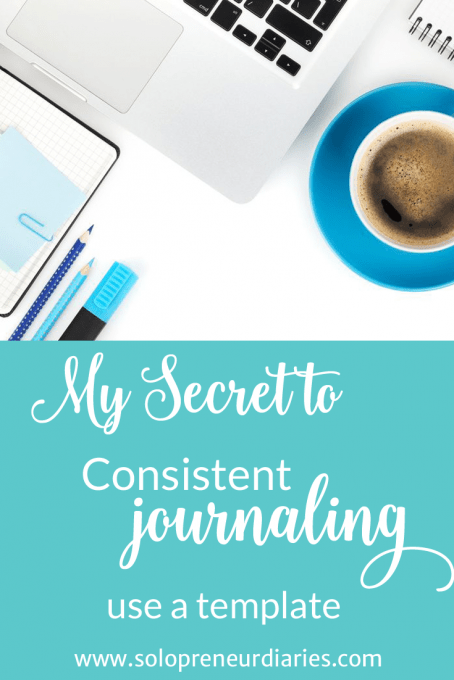 If you have always wanted to keep a journal, but haven’t been able to make consistent journaling a habit, I encourage you to try using a template. It makes it very easy start writing every day and starting is always the hardest part. Please feel free to use my template as a starting point, but don’t be afraid to change it up. 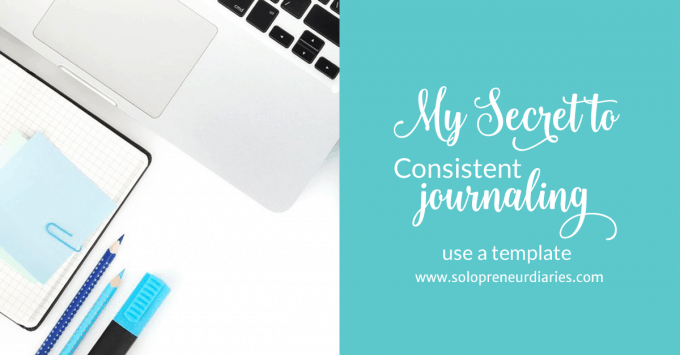 The key to using a template for consistent journaling is creating a template that works for you. « What Is a Portfolio Life? I really enjoyed this post! I journal often but am looking for ways to get more out of it so I love the template idea. Glad you found it helpful, Alana!